EnSync Energy Systems has sold a portfolio of power purchase agreements to AEP Onsite Partners–including three innovative solar-plus-storage PPAs. “These are the first solar-plus-storage PPAs in Hawaii. We believe this is a first nationally and I am confident it is the first PPA of its kind utilizing hybrid storage,” said Dan Nordloh, executive vice president, EnSync Energy Systems. The company’s ‘hybrid’ system is capable of using two different types of energy storage to optimize the use of solar and storage systems. The solar-plus-storage systems are located at a condo development and a university. “We signed agreements with Century West and the University of The Nations and other entities for us to deploy systems on their property and commit to selling them electricity from the systems at a certain price,” he said. The company signed a third agreement, the details of which haven’t yet been announced, for a multi-family housing project that uses solar-plus-storage for elevator backup power instead of a diesel generator for backup when the grid goes down, said Nordloh. These three projects include about 1.3 MW of solar and 800 kWh of hybrid energy storage, he said. 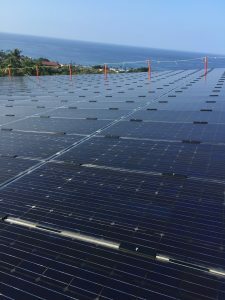 The University of the Nations project, located on the island of Hawaii, includes a 412-kilowatt solar photovoltaic array and EnSync’s intelligent energy management platform and hybrid energy storage technology. It uses solar-plus-storage to handle a portion of the university’s electric load and lower the university’s electric costs — about $2 million over 20 years. In addition to the solar-plus-storage PPAs, the portfolio of contracts sold to AEP Onsite Partners is comprised of two behind-the-meter projects at condominiums or university campus buildings on Oahu and the Island of Hawaii. “One aspect of our business model is that we we don’t want to own all PPAs indefinitely. The PPAs themselves are sellable,” said Nordloh. The company’s goal is to create portfolios of multiple projects, then go to market and sell them, he added. 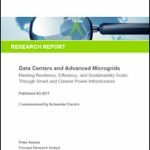 Two of the projects include EnSync’s Agile Hybrid Storage and EnSync Energy’s Matrix Energy Management systems. The third utilizes an EnSync lithium ion battery and the company’s energy management system. The hybrid storage system meets the needs of a broader set of applications, said Nordloh. In energy storage, power and energy are different applications, he said. “Most batteries can do power or energy, but not both. “Power is when you discharge a lot of kilowatts in a short time, and lithium ion batteries are good at that. Under the ‘energy’ application, the batteries discharge fewer kilowatts in a longer period of time, he said. Flow batteries do that well. The company’s hybrid storage system includes both types of batteries. EnSync Energy’s Matrix Energy Management platform can manage a number of different applications in ways that allow users to optimize their savings or revenues. 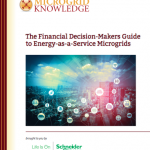 “We’re serving for multiple applications: demand response, backup power, time-of-use shifting. You can save or make money behind the meter,” he said. “Conventional power controls can only do one or two applications. But the Matrix platform allows you to prioritize and optimize any of those applications to make the most money possible. The system can also deliver ‘smart exports’ to utilities, which differs from the more limited, conventional approach, according to Nordloh. “Most companies do this generally with a conventional inverter approach,” he explained. “An architecture has to be built, a communications scheme has to be written to control all the assets, and you have to re-jigger and re-write software when load characteristics change, or if you want to add more solar or want to add storage,” he said. The company’s Matrix platform has drawers that slide in and out to meet the requirements of different circumstances. “There’s no reconfiguring of inverters, no re-writing of software,” said Nordloh. The Matrix Energy Management platform is a cabinet, and the drawers can be slid into it, he explained. Systems like these, he added, are what will allow for the proliferation of distributed energy resources. Holu Energy, a subsidiary of EnSync Energy Systems, develops the company’s projects in the Pacific, including Hawaii, Guam and Samoa. Tell us about your solar-plus-storage project on our Energy Efficiency Markets LinkedIn Group.